“Sessional pre-school service” means a pre-school service offering a planned programme to pre-school children for a total of not more than 3.5 hours per session. Services covered by the above definition may include preschools, playgroups, crèches, Montessori pre-schools, Naíonraí, notifiable childminders or similar services which generally cater for pre-school children in the 0-6 year age bracket. “Part – time day care services” means a pre school offering a structured day care service for pre- school children for a total of more than 3.5 hours and less than 5 hours per day and which may not include a sessional pre-school service for pre-school children not attending the part – time day care service. The service must provide the same physical environment, including rest, play and sanitary facilities, as for full day care. “Full day care service” means a pre-school offering a structured day care service for pre-school children for more than 5 hours per day and which may include a sessional pre-school service for pre-school children not attending the full day care service. Services such as those currently described as day nurseries and crèches are included in this definition. Where a full day care service also caters for children who do not attend on a full day basis, the adult/child ratio and group size for sessional services should apply. A childminder is a person that looks after not more than 5 pre-school children including their own pre-school children. Childminders who are not statutorily obliged to notify should contact the City/County Childcare Committee or the Health Service Executive and avail of the voluntary notification and support system. Overnight Pre-School Overnight preschool service means a service in which pre school children are taken care of for a total of more than 2 hours between the hours of 7pm and 6am, except where the exemptions provided in Section 58 of the Child Care Act 1991 apply. Over night preschool services involves pre school children being cared for over night in a crèche type or childminding service to facilitate parents/guardian’s working arrangements. Different ratios apply for overnight preschool depending on whether the service is provided in a crèche or in a childminding service. “Pre-school service in a drop-in centre” means a pre-school service offering day care, which is used exclusively on an intermittent basis. Generally for a maximum of one to two hours. Examples of Drop In childcare are frequently found in shopping centres and leisure centres. A person or organisation intending to set up a temporary drop-in childcare service should notify the Health Service Executive 14 days prior to the event. A group of parents / guardians/ carers and children who come together for supervised play and companionship for their children. Parent & Toddler Groups are not regulated by the Child Care (Pre-School Services) Regulations 2006 and are the responsibility of the parents running the group. The Katherine Howard Foundation is responsible for delivering the Parent & Toddler Group Initiative and supports various groups throughout the country. See contact section for more Information. A School Age Child is defined as a child who attends a school which teaches the National Curriculum. A service for school going children could include out of school (e.g. summer camp), after school, during term holidays or before school care, where they may have homework supervision, planned activities and a nutritious meal. School Age Childcare is not regulated by the Child Care (Pre-School Services) Regulations 2006. A private service may be run by an individual, a partnership or a company. The main income of a private based service is from parent’s fees and may also receive ECCE funding from the Department of Children and Youth Affairs if they wish to provide the ECCE free preschool scheme. A Community based service is managed by a voluntary board of management. This type of service supports families who are on lower income or returning to work/education. Parent’s receive reduced fees based on their income. ECCE scheme is also available in community based services. As a sole trader, your business is owned entirely by you and ultimately succeeds or fails by you. This also means you are entitled to all profit that the business makes. However, the law sees you and your business as one. If the business is declared bankrupt or a customer sues your business, your personal assets are on the line. In the eyes of the law, they’re suing you. If you wish to use a business name you must register your business name with the Companies Registration Office (CRO). You can also contact Dún Laoghaire Rathdown Enterprise Board. A partnership is where two or more people agree to run a business together. The partnership agreement should be drawn up by a solicitor and each partner is jointly responsible for running the business and if it fails all partners are jointly responsible for the debt. A limited company is seen as a separate legal entity. The company must register with the Companies Registration Office . The company reports and accounts must be returned to the CRO annually. If the company gets into debt, creditors only have a claim on the assets of the company. Market research is essential in creating a sustainable childcare service and it will not only form the basis of your funding/grant applications and your business plan, it will also be important with regard to building considerations and staffing issues. The purpose of conducting market research is to highlight the demand for your childcare service. Identifying a strong demand is essential if your childcare service is to be viable. You need to be aware of the level of demand for childcare (and type of childcare) in your area, the existing and projected population and the local economic and employment trends in order to develop a high quality, flexible, accessible early years service for children and families. Dún Laoghaire Rathdown CCC would be happy to help you if you require assistance. In conducting your market research it can be helpful to carryout a SWOT analysis. A Swot analysis helps you identify the Strengths, Weaknesses, Opportunities and Threats of your proposed childcare service. SWOT is a tool of strategic analysis and has two elements: an external analysis of Opportunities and Threats, and an internal analysis of Strengths and Weaknesses. The following are some pointers questions that may help you with your SWOT analysis. What advantages does your proposed childcare service have? Could any of your weaknesses seriously threaten your childcare service? Who are your customers, what are they looking for in terms of childcare service types. What are you offering the children in your service? Relates to the location of the business and how people are going to access the childcare service. Promoting your childcare service is very important. In this section you will identify how you are going to advertise your service (e.g. via newspaper adverts), publicity (via interviews to local radio about your new service to word of mouth), direct marketing to potential customers via letters. Also sales promotion e.g. first month fees at half the normal price. (including children of the person minding) in the house of that person for profit of gain”. District and neighbourhood centres and areas of employment. 1. Nature of the facility: full day care, sessional, part time, after school etc. Chief Fire Officer and the Health Service Executive –Pre School Service Officer prior to submitting a planning application. (See section 9 for contact details). and must be obtained before a commencement notice is lodged with the Local Authority. nationally accepted fire safety standards. Fill in the application form, which you will obtain from Dún Laoghaire Rathdown County Council. Include two copies of drawings consisting of the Ordnance Survey Extract showing the location of the site, a site layout drawing, floor plans, elevations and sectional views of the proposed building. The Fire Safety Officer is obliged to assess your application within 8 weeks of receiving it. A business plan is vital for the successful running of any business or community enterprise no matter how big or small. A business plan helps to communicate your intentions for the childcare service and raise finance / grants. It can also act as a useful tool against which further performance can be assessed. Start off with a good executive summary. Be realistic; do not be over optimistic in your projections. Provide detailed market research including a competitive overview. Make the plan your own. Details of your competitive edge. Comprehensive guides in respect of all aspects of business taxation including ‘Starting in Business’ guide can be obtained from your local tax office at (01) 8780100 or the Revenue website www.revenue.ie. Department of Social & Family Affairs Website www.welfare.ie or (01) 7043165. The financial element of a business plan is fundamental and the backbone of any plan. Projected financial statements will be included in this section, which represent what your business will look like in the future based on a set of assumptions. Financial Plans normally show the projected income and expenditure over a specified period 3 – 5 years. In order to be successful in securing grants, funding or loans, the most important documentation will be your projected budget with its breakdown of estimated income and expenditure. It is also very important to write up a complete budget so that you can see what is required for your childcare service to be financially viable. It is important to include a balance sheet when preparing your financial plan. The cost of overheads, such as staff, wages, premises, equipment and insurance. The purpose of a tiered payment system is to make childcare more accessible. The payment system aims to allow all families to avail of childcare in their community irrespective of their financial / personal circumstances. The fee structure will be influenced by the circumstances of the service and the financial capacity of the families who are availing of it. Contact DLRCCC for more information. Set up cost – fixtures and fittings, equipment, architectural design fees etc. Marketing costs – signage, Golden Pages etc. Consumables – stationery, arts and crafts materials, etc. When setting up a new business it is important to consider all the various finance options available to you. You can investigate the possibility of trying to secure a bank loan, which would involve preparing a thoroughly researched business plan with realistic facts and figures, to support your application. You could also explore the various government funding schemes that are available to the childcare sector. The Dept. of Children and Youth Affairs (DCYA) pays a capitation fee to participating early years services. In return, they provide a pre-school service free of charge to all children within the qualifying age range for a set number of hours over a set period of weeks. To attain this funding the DCYA set out criteria that must be met by the service. For further information on the ECCE scheme click here. This subsidy was introduced in 2017 to support parents of children ages 6 months to 3 years of age. The subsidy is not means tested and is available to families with children in Tusla registered childcare (community or private services). The weekly subsidy amount is based on the type of childcare you need. Please see www.affordablechildcare.ie for more information. The CETS scheme is aimed to support parents who are attending certain training courses. The funding subsidises the childcare cost so parents pay a lower fee. For more information on this scheme, click here. The CCS Programme is a targeted to support parents on a low income to avail of reduced childcare costs at participating community childcare services. The DCYA pays for a portion of the childcare costs for eligible children, a payment described as a subvention payment, with the parent paying the remainder. Childcare providers are required adhere to all childcare regulations in order to safeguard the health, safety and welfare of children attending their service. Tusla, The Children and Family Agency, require providers to register their service with them and to under go a ‘Fit For Purpose’ Inspection, 90 days prior to opening. A Policies and Procedures manual will provide important information to your staff and parents of the children in your care on how the service works, what is acceptable and what is not – how you will respond to various situations and what roles all those involved will perform. A carefully thought out Policies and Procedures manual will contribute greatly to the quality of the service you provide and is vital to the efficient running of your business. It is important to consult with parents and staff in the development of your Policies and Procedures and to ensure that Policies and Procedures are implemented and reviewed regularly. A policy is a statement of agreed beliefs proposed/ adopted by the organisation/ individual on a range of topics related to the childcare service provided. A procedure is a course of action being adopted / implemented by a service. It details the action to be taken to address the stated policy. It facilitates decision-making, provides consistency and autonomy and helps ensure that the service is managed effectively. The Early Years Regulations 2016 highlight policies that services are required to have under schedule 5 pg.44. To promote best practice we would suggest you look at Dublin City Childcare’s Guide ‘Compliance and Beyond‘ to supporting services in maintaining compliance. The early years of child development and learning are crucial. Children begin to make sense of the world around them and make meaningful connections in their learning. It is the role of the early years provider, in partnership with parents and family, to nurture this learning. It is important to research the type of curriculum you would like to provide to children and the ethos of your service. The Aistear Curriculum Framework is the Irish early years curriculum which was developed by the NCCA in 2009. Aistear translates as’Journey’ in english. 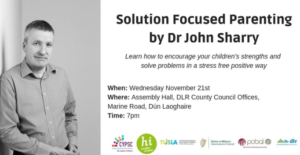 Síolta-The quality framework was developed to support practitioners in providing quality care and education in the early years. For more information on Síolta, click here. See the links provided for information on various curriculum in early years education. Useful website to support you in developing your ethos and curriculum statement. When developing your learning environments it is essential to this in conjunction with the Child Care Act Regulations 2016.
service have access on a daily basis to a suitable outdoor space”. A registered provider must ensure “There are adequate and suitable facilities for a pre-school child to rest during the day”. Minimum space requirements also need to be adhered to when catering for different age groups. The Aistear/Síolta Practice Guide promotes reflective practice when developing positive interactions and creating a learning environment. there is at all times an adequate number of adults working directly with the children attending the pre-school service”, Child Care Act Regulations 2016. Please see pg.13 and p.48 of the regulations for more in formation on staff ratios and requirements. All staff working with children must be vetted before they begin working in the service. For more information on vetting please see Barnardos.